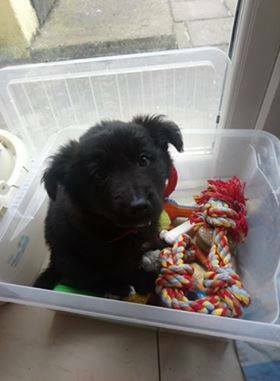 Wren is a little 8 week old female collie puppy just exploring the big wide world in the safety of Angelas home. She is a very loving girl, her favourite place is the toy box. Please call 0862112850. Please do not text or leave comments on the website.